When the teacher was doing math somebody gave her a box. Suddnly Freddy the frog jumped out. The teacher screamed. The kids thought that was cool so the kids chased Freddy the frog out the window and through the playground and across the raod. walking through the city and running through the feld and jogging through the forest and tiptoing past the airport and onto the airplane landed in Astrailia and Freddy the frog got away. So the kids went back on the airplan and past the airport through the forest and past the city across the road through the playground back in the window for math. 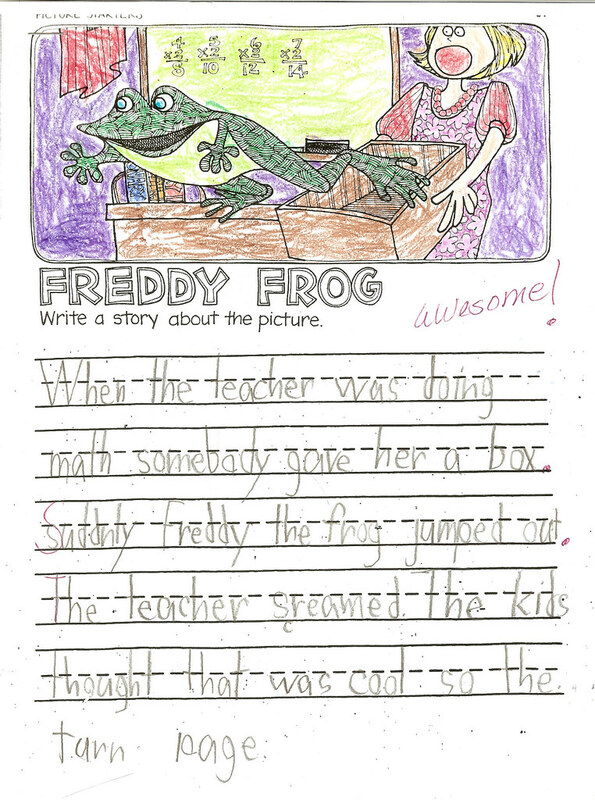 Awesome story and nice coloring too, Adam! That's some creative writing. I think you have a budding writer in the works there. Great job, mommy. Happy tooting :) .